This is Wilson’s cellular signal meter. It’s awesome. 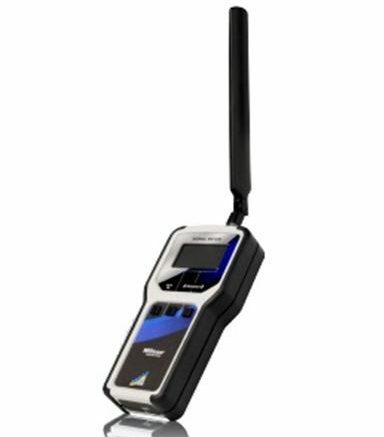 It will tell you things about your cell signals you never thought to ask, and it’s a must-have for a professional installer. But is it a must-have for you? Until not that long ago, both iPhones and Androids both had a way for you to really know what your cell signal strength was. It might have taken a free app (Android) or a series of arcane numbers (iPhone) but it was there. Since the release of iOS 11, Apple phones can’t give you a true signal reading at all, not with an app and not with a hidden menu. All you get are fairly useless bars. That’s why you might be considering the purchase of an expensive signal meter. And I don’t blame you. And… I know the folks in the marketing department won’t like this but, don’t buy the expensive meter. I mean, if you’re a pro, then buy it. It will pay for itself and you’ll get a lot of use out of it. If you’re an amateur who just wants to know what signal strength you have now and again, there’s a less expensive option and it’s probably going to give you everything you need. If you have an Android phone, you’re almost set. If you don’t, just get a pre-paid phone and the smallest possible data plan. I hope you choose an AT&T phone because we’re affiliated with them, but whatever you do, just get something that will run Android apps from the Google Play store. Buy a one-time supply of cell minutes, too, because you’ll need to actually connect to the cell network. It should cost you a LOT less than the weBoost signal meter. Then, connect the phone to Wi-Fi and download a signal strength app. I like this one, it’s free. This will let you connect to a cell network and measure its strength, and that’s all you need to do. It’s not going to let you switch carriers unless you get another SIM card, but even that isn’t too terribly expensive. No matter what, it’s an easy way to get up and running. Is it legal to use a cell booster for your business?